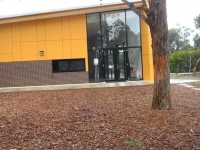 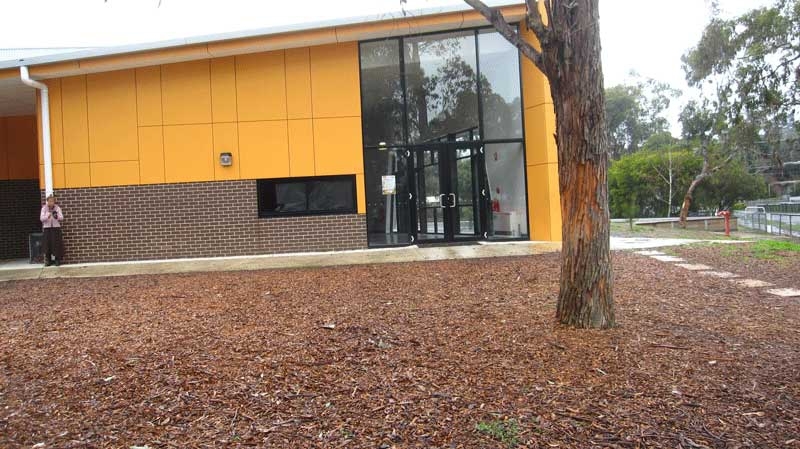 Tinternvale Primary School wanted a more attractive and engaging entry to their school after the construction of new buildings. 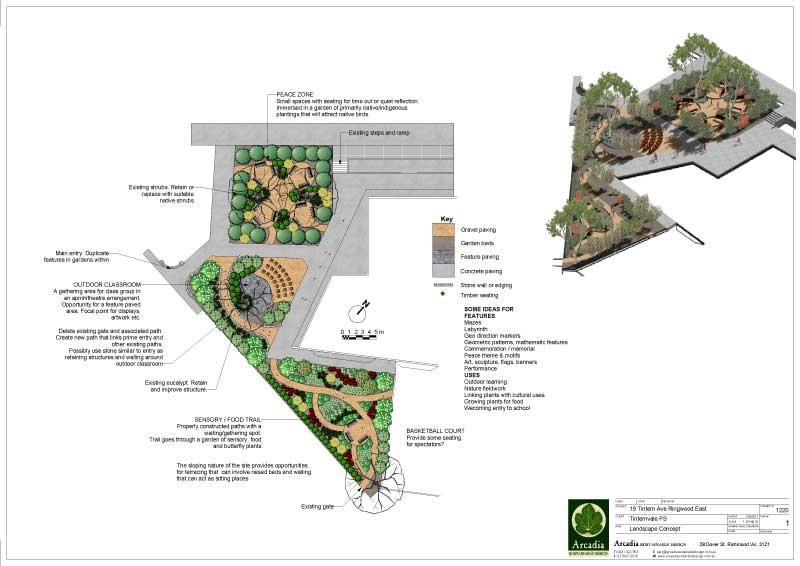 After some consultation with their community, they proposed the establishment of a ‘Peace Garden’. 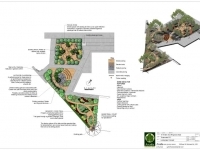 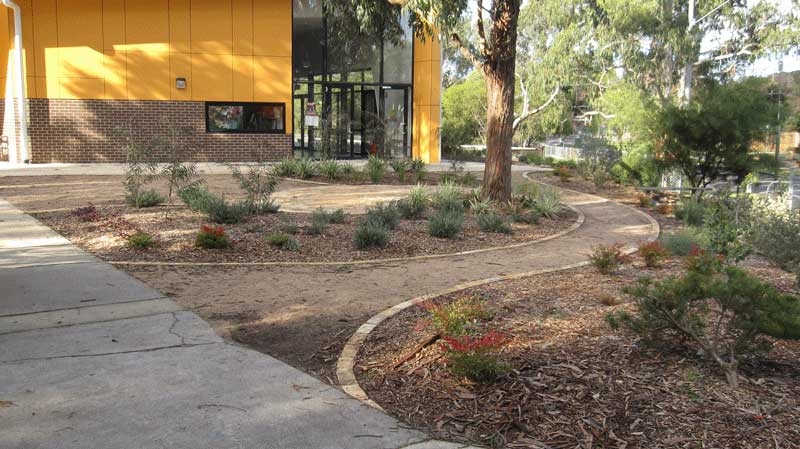 This new garden would not only provide a more pleasant entry for students, staff and visitors but would be a place that students could gather, play and reflect. 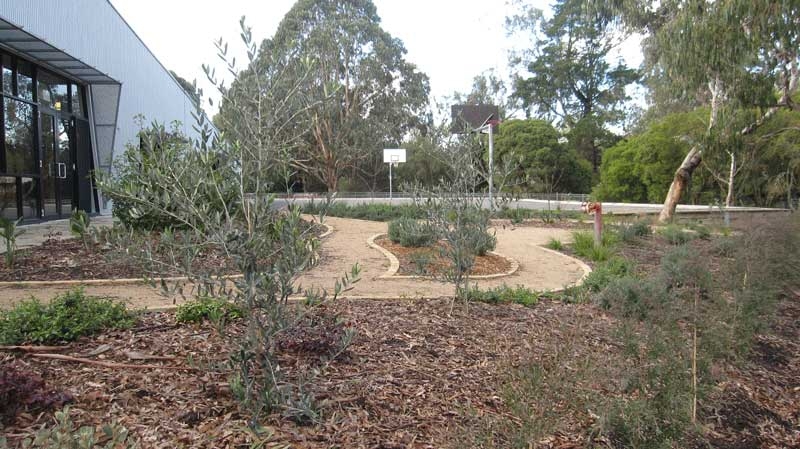 It would also include productive areas for growing herbs and other food plants that would assist active learning. 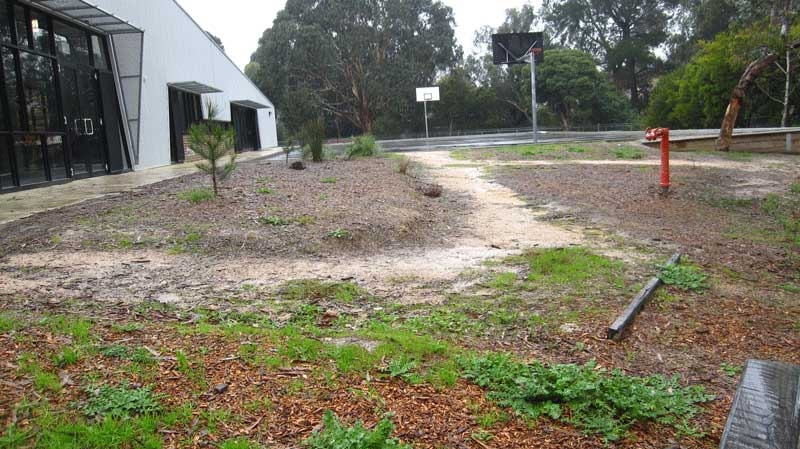 We found the site dominated by a bitumen roadway. 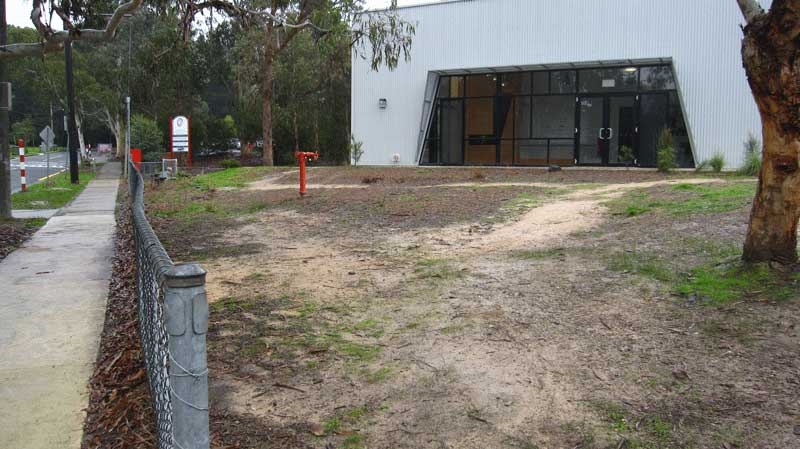 This was blocked and and so pointless while the surrounding area around the new school hall looked rather desolate since it was built. 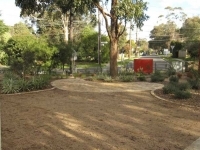 The new plan removed the roadway and created new gathering spaces interconnected by more friendly gravel paths. 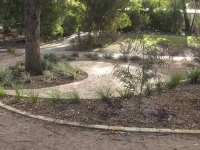 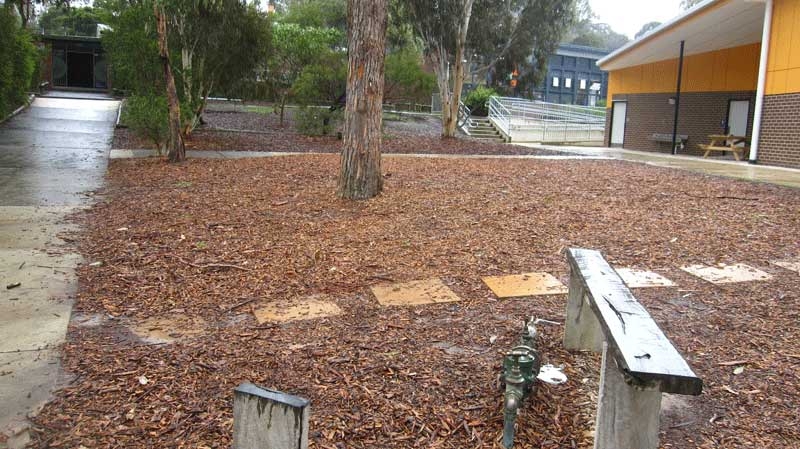 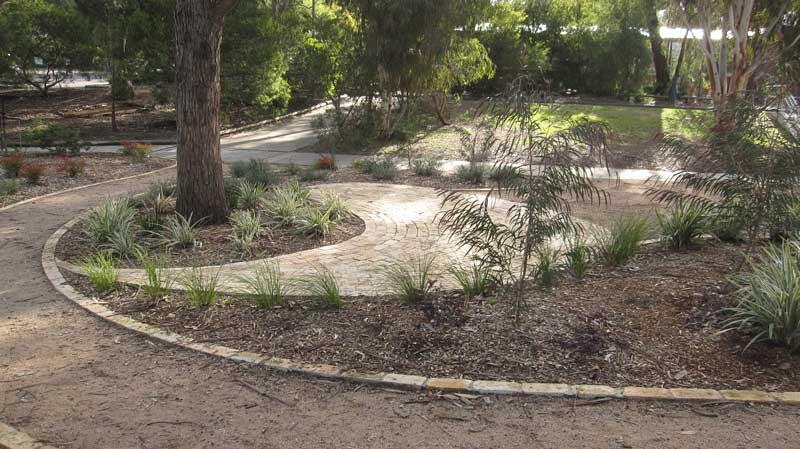 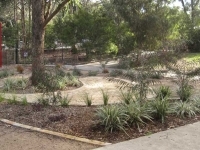 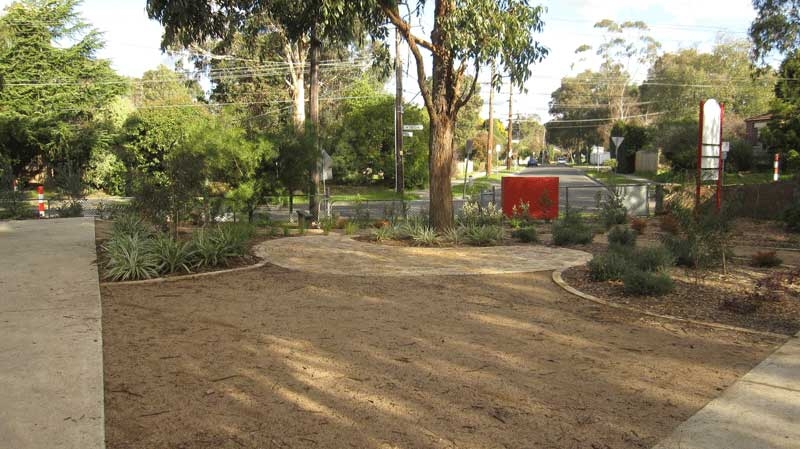 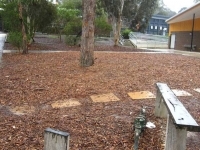 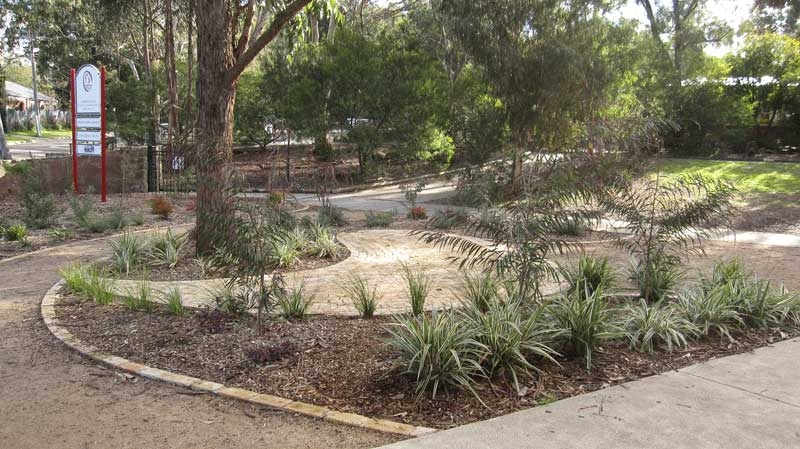 The main gathering space was given an attractive stone treatment beneath some existing gum trees. 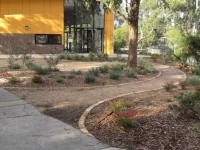 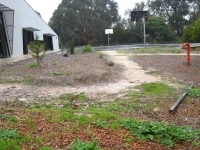 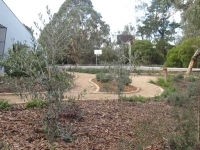 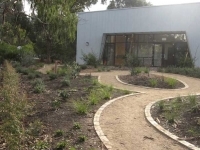 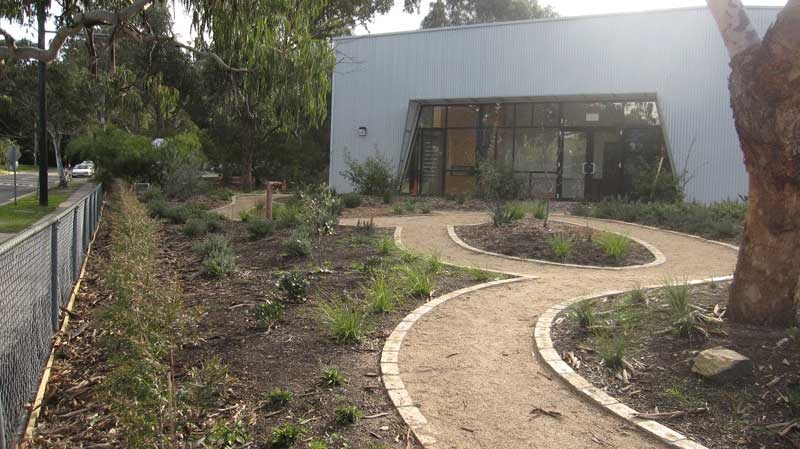 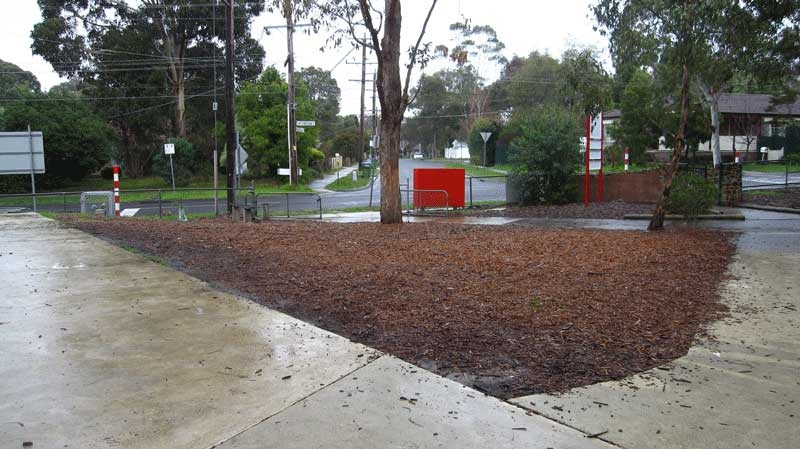 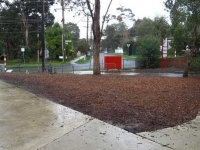 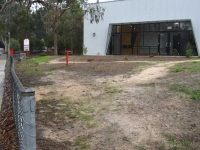 Gravel paths lead toward the herb gardens that student could pass and engage with travelling to and from school.